Communication – verbal and behavioral – is the cornerstone of human relationships. It turns out, as all of us have no doubt discovered along the way, that we humans aren’t all that good at successfully communicating with each other all the time. Admittedly, some of us are better – but not always – at communicating well and consistently with other humans than others of us are. Our propensity toward communication difficulties leads to a lot of problems in the normal course of our relationships with others. Misunderstandings develop. Feelings get hurt. Relationships are ripped apart irreparably, at least for this lifetime. However, for our loved ones with dementias and Alzheimer’s Disease, where executive function, cognition, and understanding are compromised by neurological deterioration, these communication difficulties are even more devastating and can often lead to extreme agitation, volcanic emotional outbursts, and inappropriate behavioral manifestations. Psychoanalyst Trevor Mumby, who has spent his career looking for ways to communicate more effectively with those who have dementias and Alzheimer’s Disease, has identified twelve areas of communication that are verbal and behavior hand grenades that can create emotional havoc with our loved ones with dementias and Alzheimer’s Disease. I submit that if we eliminated these communication hand grenades in all our relationships, we’d be taking a huge step forward in better communicating with other human beings. In this post, we’ll look at the first six verbal and behavioral hand grenades of communication that we need to eliminate, and in the next post, we’ll look at the last six. Nothing gets emotional upheaval going in all of us like someone who is overbearing and knows everything about everything and will not stop pushing their opinions and their agendas over and over and over ad nauseum until everyone agrees (or just disappears by folding up within themselves and shutting down). For our loved ones with dementias and Alzheimer’s Disease, this communication hand grenade will evoke strong negative emotional and behavioral responses, ranging anywhere from being emotionally inconsolable to being physically violent. Even in normal communication, constantly being interrupted or cut off while trying to express something completely is aggravating. I tend to take longer, verbally, to express myself because I’m not a natural ad hoc speaker and it’s out of my realm of capability and temperament to think out loud, process and talk concurrently, and be engaged in unedited conversation. I find myself frequently on the receiving end of being interrupted because I pause a lot to try to find the right word, tone, meaning before I say it. My response to interrupting is to stop talking and avoid verbal communication with people I know will interrupt me. In this area, I have a strong affinity with and empathy for our loved ones with dementias and Alzheimer’s Disease who, because of often-extensive neurological damage to the speech and hearing pathways in the brain, struggle to understand what is being said and how to respond to it (I discuss understanding and successfully navigating communication difficulties comprehensively in Chapter 3 of my book, You Oughta Know: Acknowledging, Recognizing, and Responding to the Steps in the Journey Through Dementias and Alzheimer’s Disease). As a result, exaggerated pauses in speaking occur and it’s almost second-nature to interrupt and fill in the missing words and/or thoughts we think our loved ones are trying to say. And this can create extreme agitation and emotional upset because we are likely wrong in what we conclude they are trying to communicate and because we’re both being disrespectful to and taking away independence from our loved ones with dementias and Alzheimer’s Disease. Verbal provocation is a conscious hand grenade. It is characterized by insistent, persistent, and increasingly abusive language toward someone else with the intended results being anger and fighting. Yep, there are actually people – and we all know them, unfortunately – who really enjoy doing this. Behavioral provocation is usually an unconscious or unknown hand grenade. We all have things that we do and habits that we have that get on someone else’s last nerve, but oftentimes we have no idea that we’re provoking them in the process. For our loved ones with dementias and Alzheimer’s Disease, verbal and behavioral provocation can be a communication powder keg. We need to remember that the neurological damage in these diseases affects perception, reasoning, and understanding profoundly. We also need to remember that having dementias and Alzheimer’s Disease increases the fearfulness of our loved ones. Therefore, verbal provocation, which can be threatening and scary to those of us who do not have dementias and Alzheimer’s Disease, can create terror in our loved ones who do. And we all know that fear generates that adrenaline rush known as the “fight-or-flight” response. Whichever of these gets triggered in our loved ones will be exaggerated. Evidence of this response can include frequent and uncontrollable agitation, constant pacing, increasing wandering with the intent of escape (outdoors), or fighting (hitting, biting, etc.) when they are provoked. Behavioral provocation will most likely evoke anger and impatience in our loved ones with dementias and Alzheimer’s Disease. This can escalate to physical violence in an attempt to stop the provoking behavior. 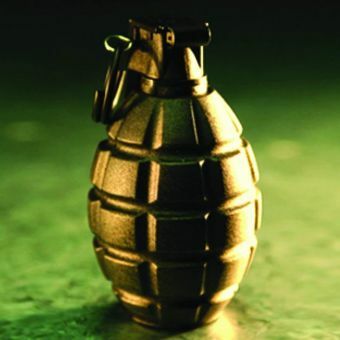 Another hand grenade is the habit of disagreeing with, arguing with, and contradicting everything the other person says. Part of what is behind this verbal and behavioral hand grenade is the need to be right all the time (insecurity and/or inflated ego are at work). We all know people like this and I personally steer clear of them as much as I’m able. When I have to be around them, I get quiet and stay quiet and try to escape them as quickly as possible. However, the hand grenade of contradiction is very damaging to our relationships with our loved ones with dementias and Alzheimer’s Disease. Remember, these diseases, by their very nature, take sure knowledge away from our loved ones. It causes them to be tentative about everything because they don’t remember what they don’t remember. Contradicting them on everything only adds to the tentativeness, the hesitation, the confusion and will eventually cause our loved ones to shut down and stop communicating altogether (you’ll note that this is not all that different than what I think most of us who don’t have dementias and Alzheimer’s Disease do only when we are around people who contradict us all the time) with everyone. Let’s face it. Most of life is a pretty thankless task. However, part of human relationships is doing what you are able for others when you are able because it’s the right thing to do. If we expect gratitude all the time, then the motive behind what we do is selfish and self-centered: we want recognition, we want praise, we want our egos stroked. In essence, our actions and words are all about us and never about those for whom we do or give them. For people who expect the limelight all the time for all they do and say, we find that they will stop doing for and saying things to the people who don’t feed their egos with lavish praise and fawning gratitude. They basically just cut those people out of their lives. Not expressing gratitude consistently among our loved ones with dementias and Alzheimer’s Disease is part of the neurological disease process. Remember that the brain is where the concept of thankfulness and gratitude are formed. As the brain deteriorates, concepts and ideas, which are high-level executive functioning, begin to disappear to one degree or another. If we are expecting gratitude all the time, will we cut our loved ones out of our lives because they’re not meeting our expectations? Sad to say, this does happen. But shame on us if this is our motivation and our response. Somehow all of us humans are innately wired to believe that if we just say something in a louder voice, it will be understood better by the person or people we are talking to. Because my mom had a severe hearing loss most of her life, I saw this up close and personally with people who didn’t know her. Early in our childhoods, Mama explained that when people were talking to her she read their lips and that slowing down just a bit and enunciation, not volume, was the key to her being able to understand what was being said if she couldn’t hear it. Even before her journey with dementias and Alzheimer’s Disease, she didn’t like to be around people who always talked loudly or people who talked loudly to her as a way of communicating with her. And I’ve never been able to handle loud talkers either. It literally hurts my ears and I physically need to get away as quickly as I’m able when I’m around people who normally talk in a loud voice. The same is true for our loved ones with dementias and Alzheimer’s Disease (I’ve often wondered how much the double whammy was for Mama to have both a profound hearing loss and vascular dementia, Lewy Body dementia, and Alzheimer’s Disease – I really can’t imagine). Volume in speech will not help them understand more or better what our loved ones have already lost in understanding and comprehension because of dementias and Alzheimer’s Disease. What it is most likely to do instead is make them fearful because they know the noise is loud, but they don’t know why. As we talked about before, fear can produce intense agitation, continuous pacing, frequent wandering to escape, and, at its worst, physical violence in our loved ones with dementias and Alzheimer’s Disease. These are the first six verbal and behavioral hand grenades that we need to eliminate in our relationships with our loved ones with dementias and Alzheimer’s Disease. The reality, though, is that we need to eliminate them in all our human relationships, so everybody on the planet could benefit from reading this series. In the next post, we’ll discuss the last six verbal and behavioral hand grenades we need to eliminate. ← If You Needed Help, Does Anyone Have What They Need From You to Step Up to the Plate? As quintessential leaders, we need to be working to eliminate these verbal and behavioral hand grenades both from ourselves and from our teams.